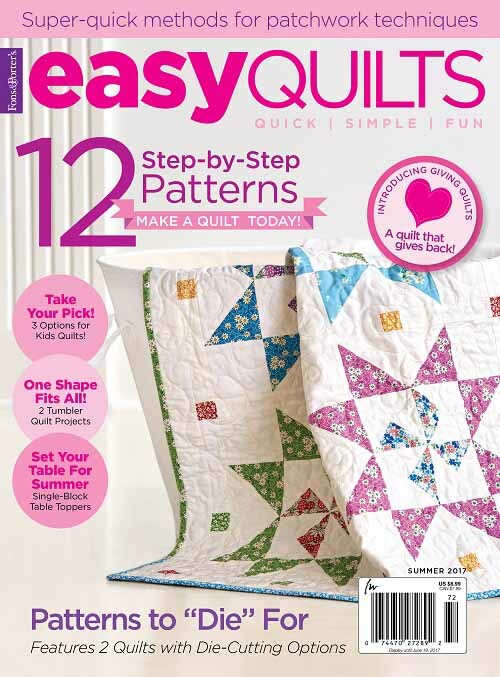 Hello Friends, every now and then, I receive questions on how close I pin baste my quilt sandwiches. I thought I would share with you an in-action photo from a quilt I completed a couple of weeks ago. My general approach to pin-basting is “pin it to death”. 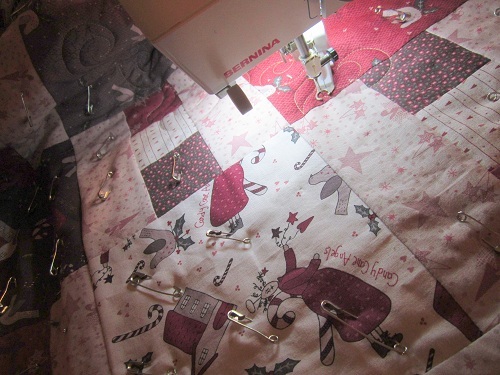 My pins are about 1 1/2″ to 2″ apart, closer if the quilt is to be a special heirloom or show quilt. I probably don’t need to have my pins so close, but I like to be safe than sorry. Now, if you look at the photo again – you will see I take out enough pins to make an area (~4-6″ radius) around the needle for quilting. I often stop while quilting to take out pins. If in doubt whether a pin is going to be in my way, I’d go ahead and take the pin out. I always regret it later if I don’t…. ask me how I know, ha! If you have any basting tips (not necessarily pin-basting), please feel free to share. 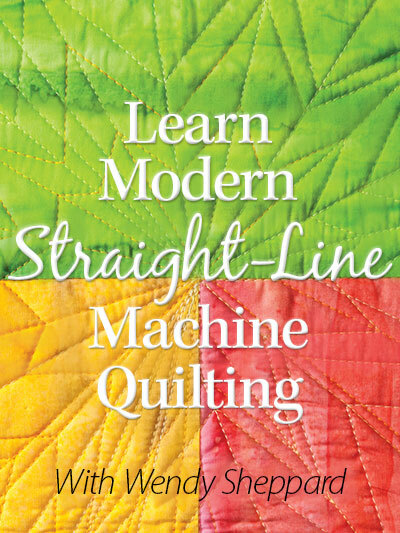 I am always ready to learn something new, and there is plenty to be learned for sure in the vast world of quilting. Thanks for stopping by. I’d better get back to work. Till later! Click here to read my other Thread Talk posts. 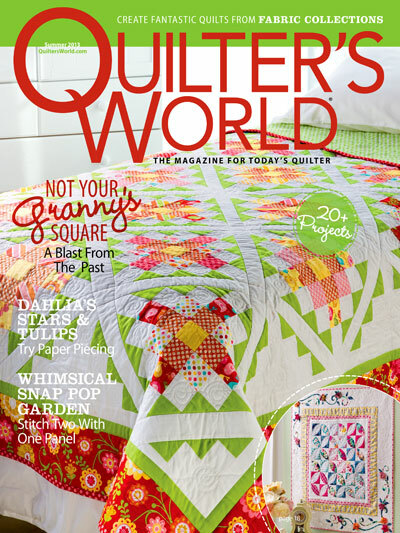 This entry was posted in Quilting, Thread Talk and tagged Machine Quilting Tips. Bookmark the permalink. 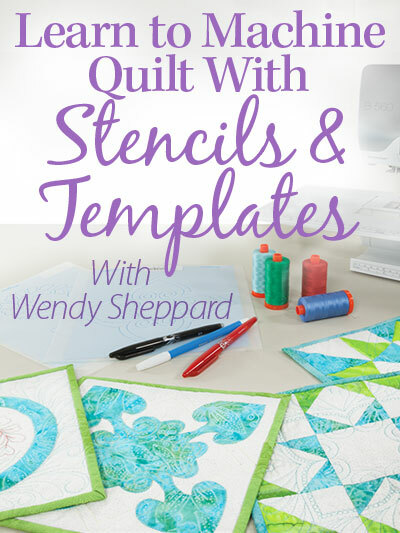 Wendy, you must quilt all day every single day! Okay I’m a bit lazy and have fallen deeply in love with spray basting. I find pins very dangerous for me….LOL! I always end up poking myself and bleeding on my quilt. I have tried using a stiletto to close and open them but still I sword myself everytime!!!! ouch!!! Spray baste for me, is a miracle product. Just one major draw back….you really have to do it outside. Don’t want to breathe in that stuff! Wendy, what size basting pins do you use? Your thread talks are always informative. I too pin baste, maybe not quite as close as you, but some of my students have come to classes with quilts pinned up with hardly any pins! I got taught a lovely tip from a women at a retreat I went to, where you use a serrated bread & butter knife to close the pins, it sure saves your fingers! I also use plastic clamps I found at my local hard wear store in the tool section for securing my backing fabric to the table, so it is nice & firm, no puckers or tucks! As I have found sometimes the masking tapes doesn’t always stick. I just discovered your website, and I just love it. I am like you. I pin, pin, pin. I would love to try basting spray. I think it would save so much time. Is there one that lasts a couple of weeks after you spray it? I use Sharon Schmber’s method of basting with thread. This method has absolutely saved my sanity and my back. 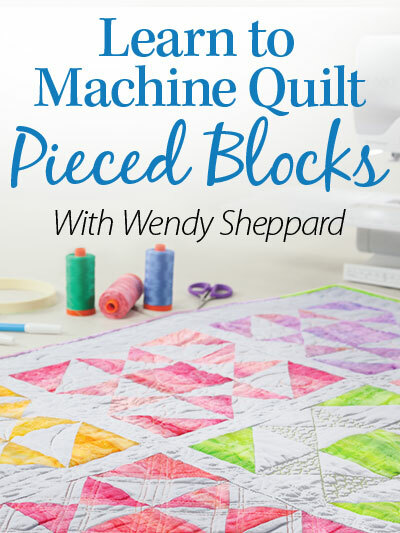 I was quite skeptical when I watched her video of the process on You Tube that it would actually work, but I have now used the method to baste at least a half dozen quilts of varying sizes, and I cannot begin to tell you how happy I am with this method. No weight from hundreds of pins, no crawling around on the floor, no pins to get in the way.. The method is at least as quick as pin basting, maybe quicker, and you can do it sitting in a chair! Go to you Tube and watch her video, and try this method, you will love it. 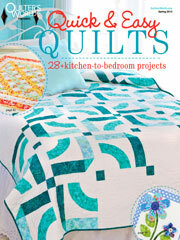 She demonstrates on a small sample, I have done it on up to a large wall quilt, and had no problems. Thank you for this post. makes it easier for me to see it how it is done.